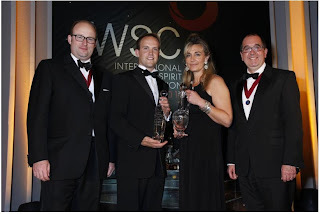 The International Wine and Spirit Competition is the most prestigious competition of its kind in the world. Established in 1969, the competition sees entries from 82 countries put through a two stage judging process including full blind tasting and chemical analysis. The judging panel reads like a who's who of the wine and spirit world, and is comprised of people who excel in their fields. Each year, small number of associate judges are selected to sit on the panels - a maximum of one per panel, judging no more than two categories over the six month judging process. As you may have guessed by now, this year, I was one of these associate judges. I wrote about the experience here (and was very pleased to see it re-published on the IWSC website). 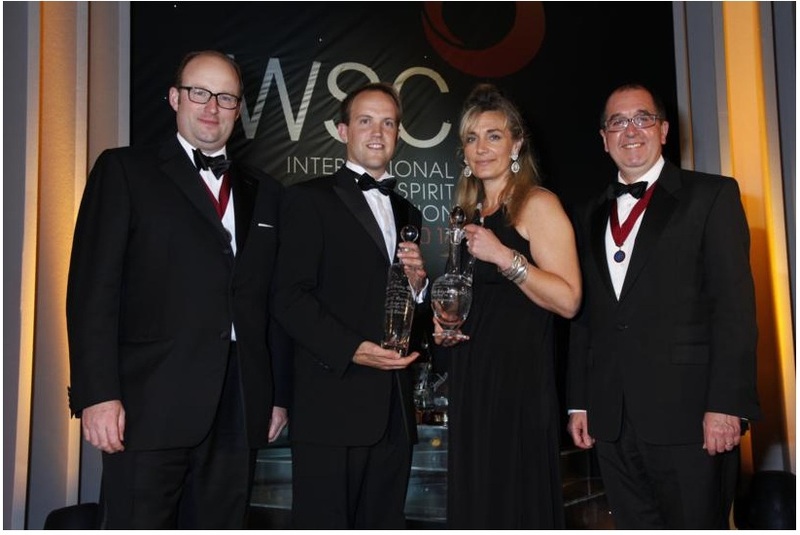 The award for Best Associate Judge was set up by the IWSC in memory of Peter and Penelope Duff, who dedicated 30 years of service to the Competition. Associate judges are selected from recent and present WSET Diploma students, with each successful applicant invited to a maximum of two sessions during the six-month judging period. The winner is selected based on reports submitted by each of the chair judges, who are asked to offer their views on the contribution of the associate allocated to their panel. So as you can imagine, I was dead chuffed to be in the running. 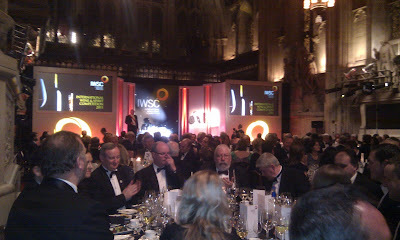 Even more so when I discovered the winner would be announced during a five course black-tie banquet in London's Guild Hall. 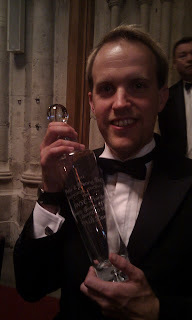 I won't keep you waiting any longer (I can hardly bear the suspense myself): I won! Me, looking extremely pleased with myself! 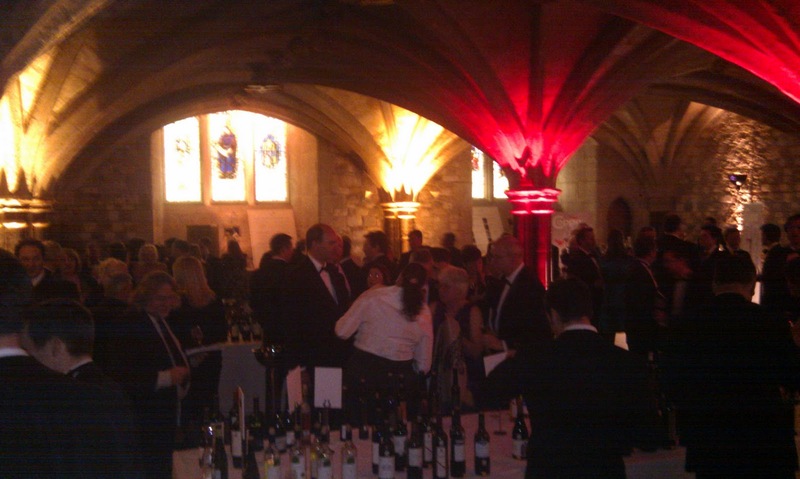 The banquet was superb, and before we had even seen our seats we had been treated to a tasting of every one of the Gold and Best in Class Medal winning wines and spirits. Every event I've encountered which has had anything to do with the IWSC has been superb, and the awards evening was certainly no exception. I'm already looking forward to next year. Congratulations, Will, from everyone at The Dabbler. Fantastic achievement.